The SMF Tiger Stripe is a prime example of the quality and craftsmanship you can expect from Strider Knives. The CPM S30V blade is flat ground and is razor sharp with a tiger stripe finish. The front is marked "STRIDER" and the back has their logo. Includes dual heat treated stainless steel thumb studs and oval thumb hole opener. The top of the knife features thumb ramp notching where the frame meets the blade spine for extra grip. The handle is comprised of two parts. The bottom is a solid titanium frame lock design with "Heat Striping" finish. 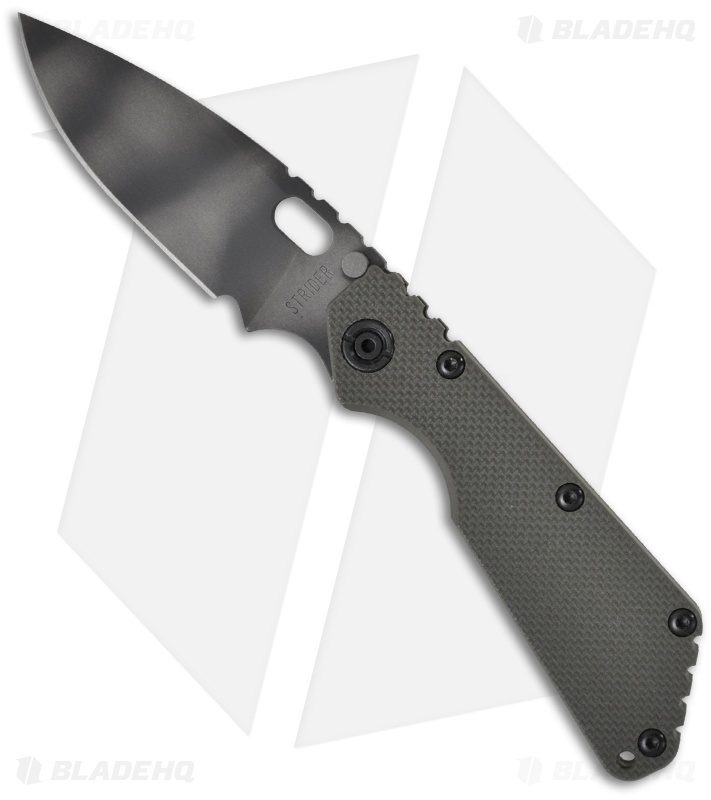 The top handle is textured green G-10. GEN 2 MARSOC frame lock features lockbar stabilizer with jimping. 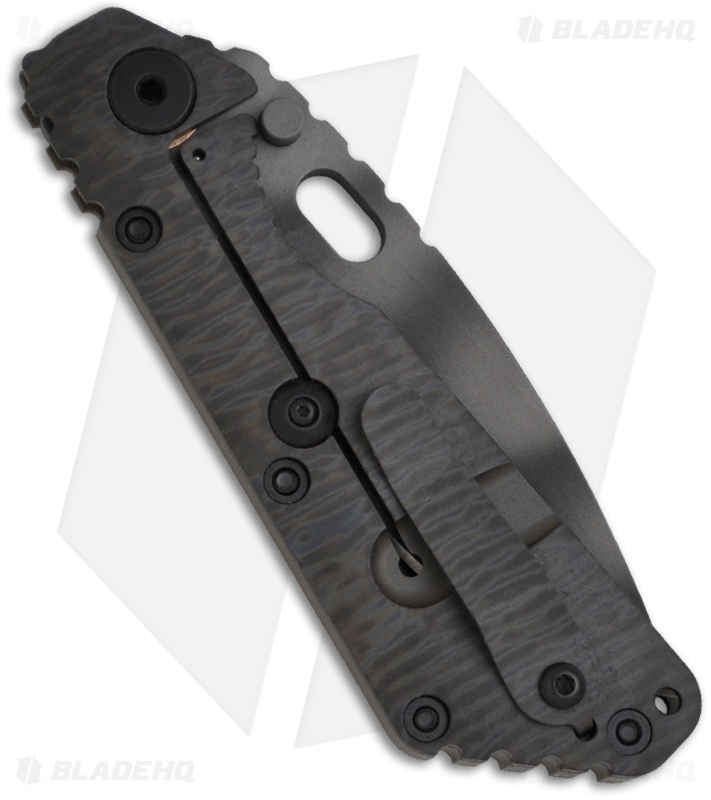 The titanium pocket clip (tip up) is removable and also has the "Heat Striping" finish. The over-sized pivot adds to the robustness of this knife. Lanyard hole. Whether you are looking for the perfect tactical folder or the next prized piece for your collection, the Strider SMF is sure to please. This knife gets two thumbs up from the Blade HQ crew!